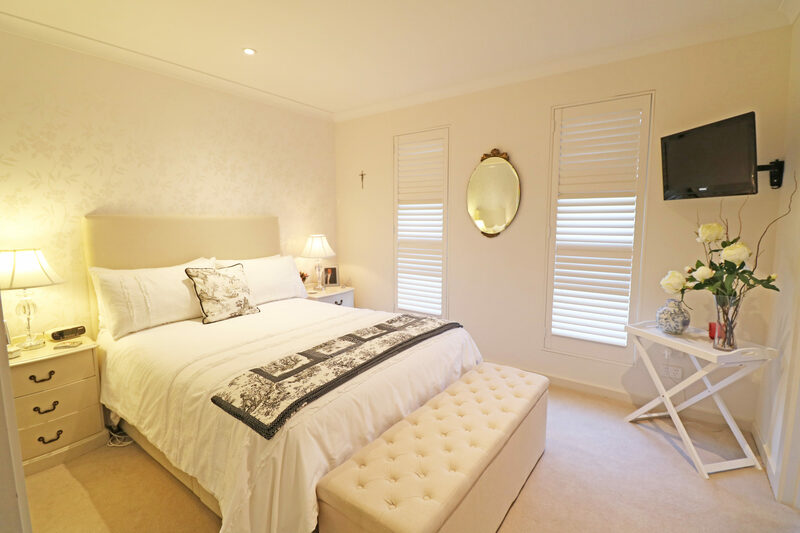 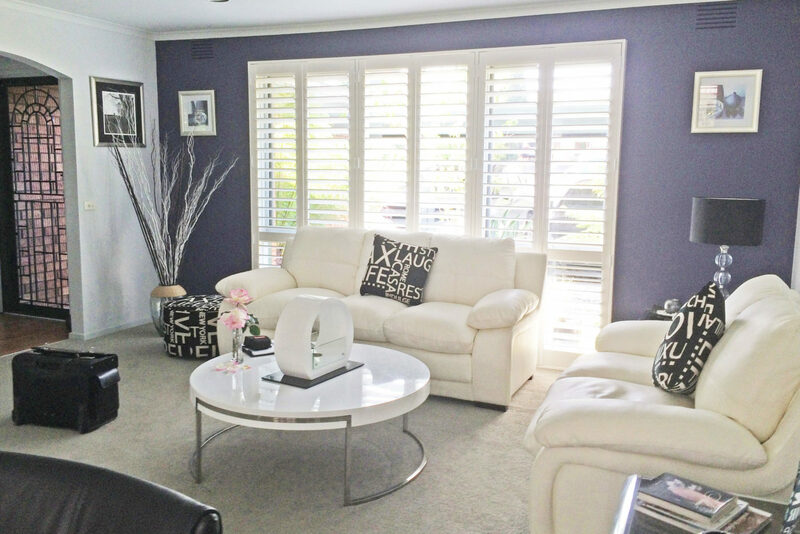 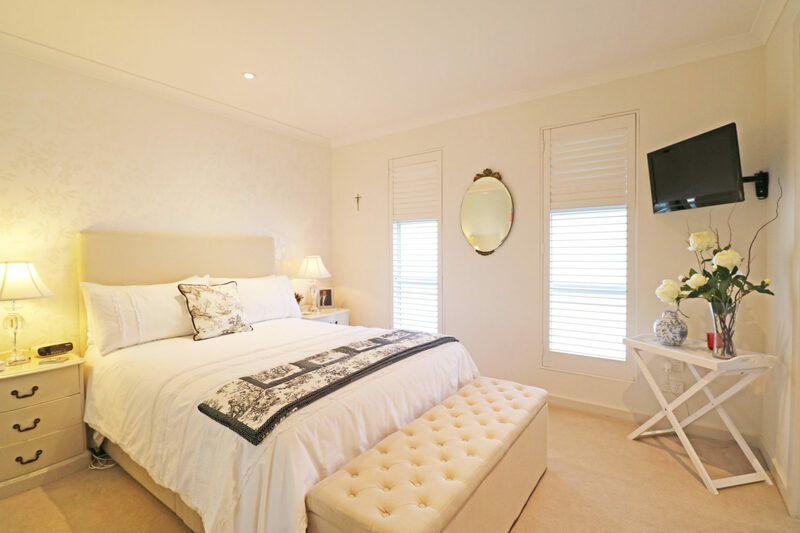 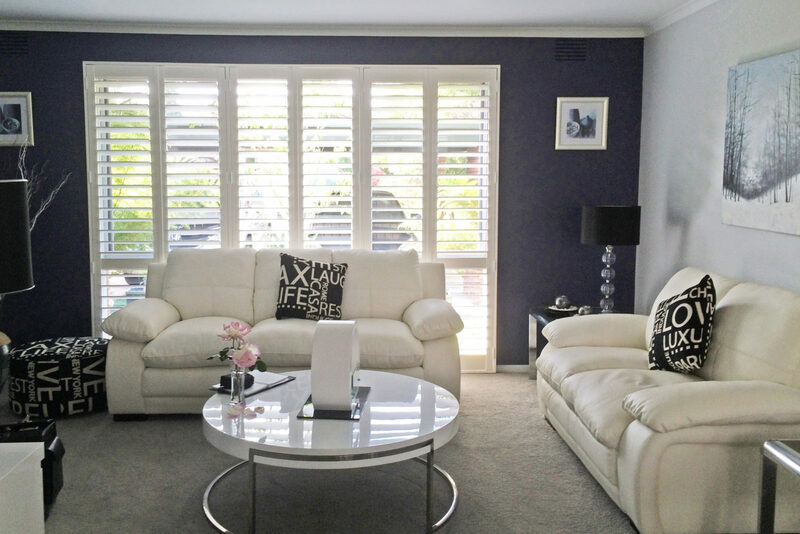 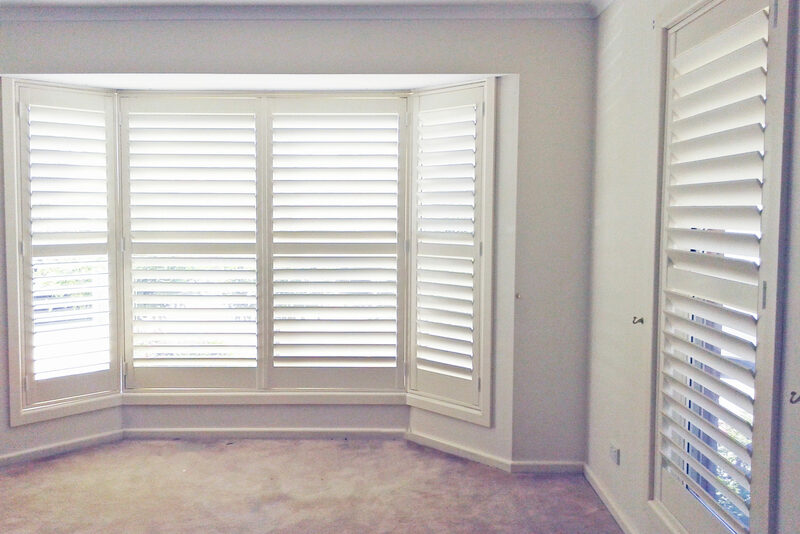 Plantation Shutters is the most popular choice for interior designs over the past few years. Completely handcrafted with the best quality Basswood and Western Red Cedar, our plantation shutters provide a timeless elegance and style that blend perfectly with both classic and contemporary designs. With a variety of finishes, colours and shapes, Khoi’s Blinds plantation shutters will match every application and décor. 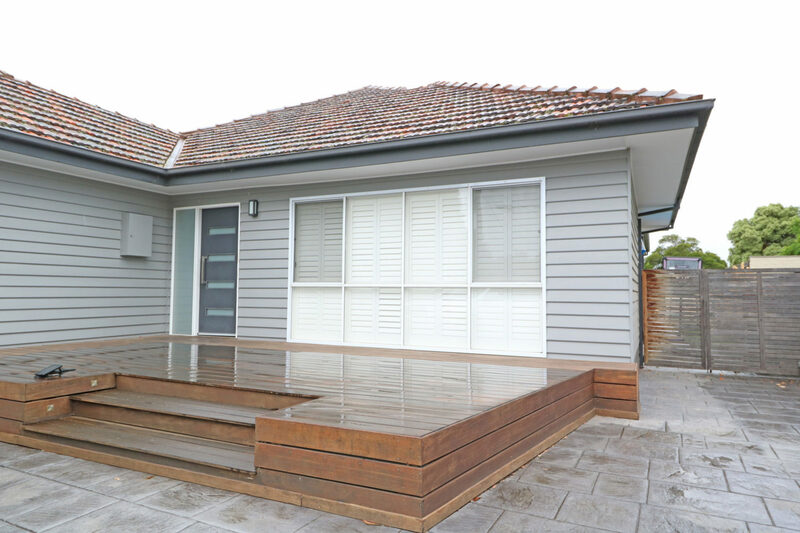 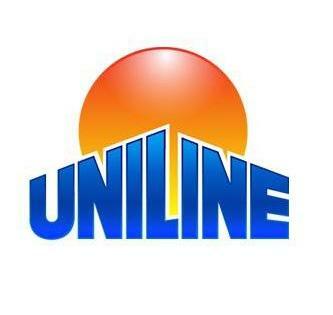 Provide unique and elegant appearance for your home, suitable to both modern and heritage designs. 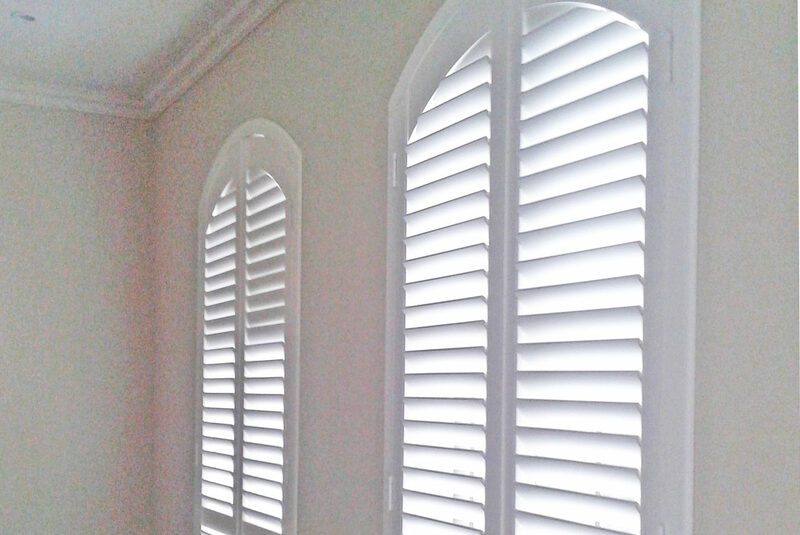 100% handcrafted to suit every window shapes and designs. Shielding your interior living space from the heat and sun whilst allowing the control of natural ventilation from the outside environment. 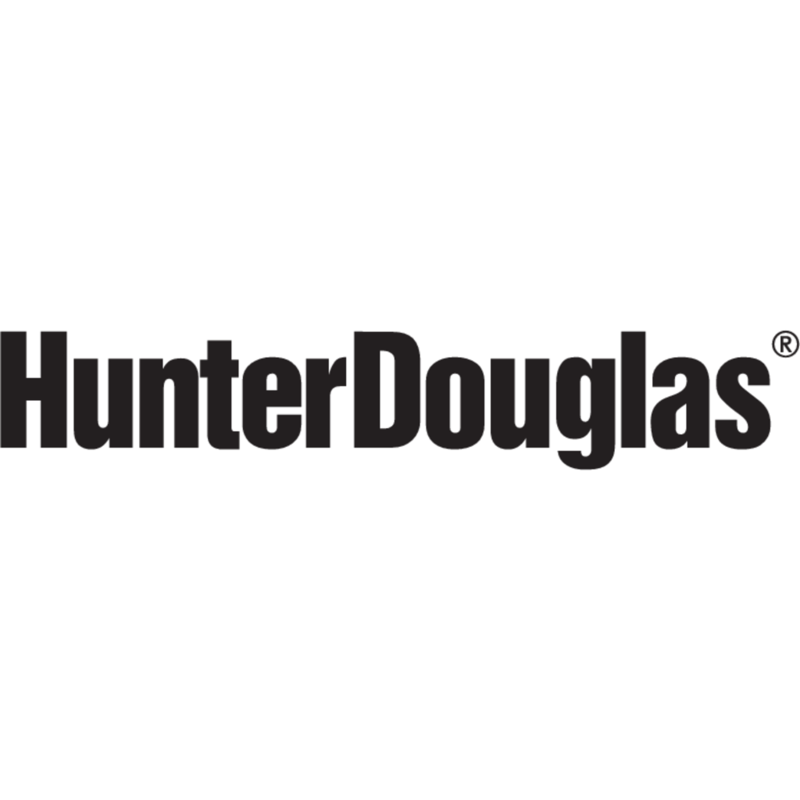 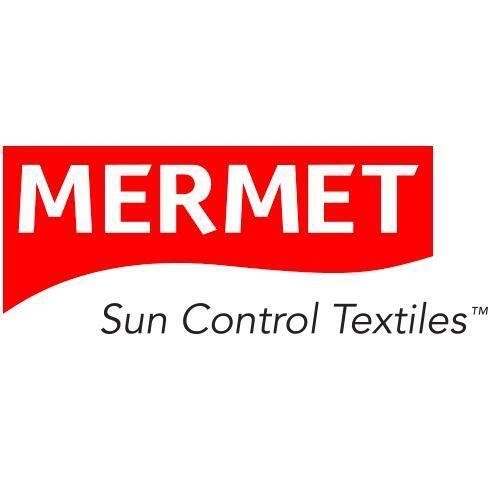 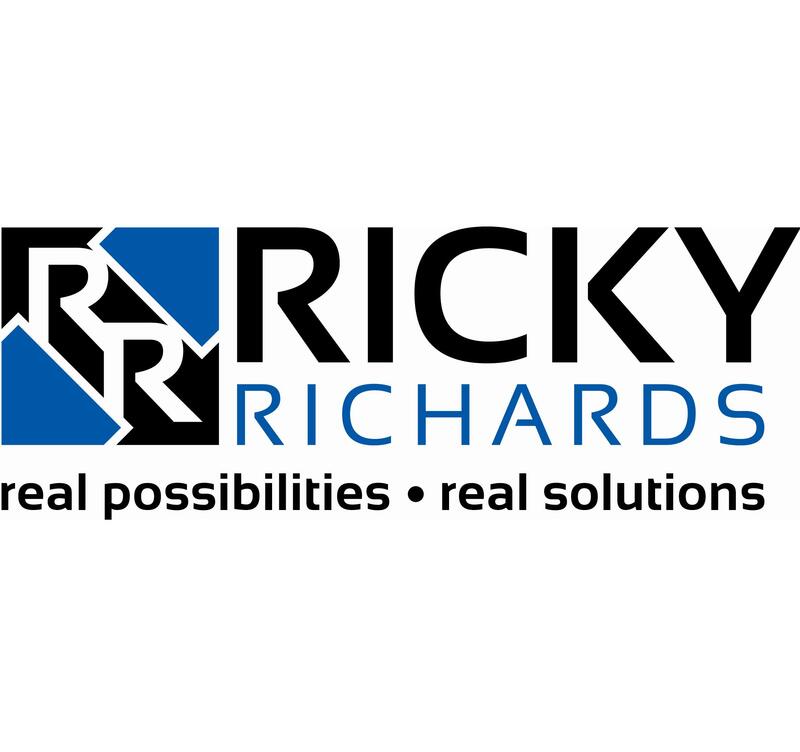 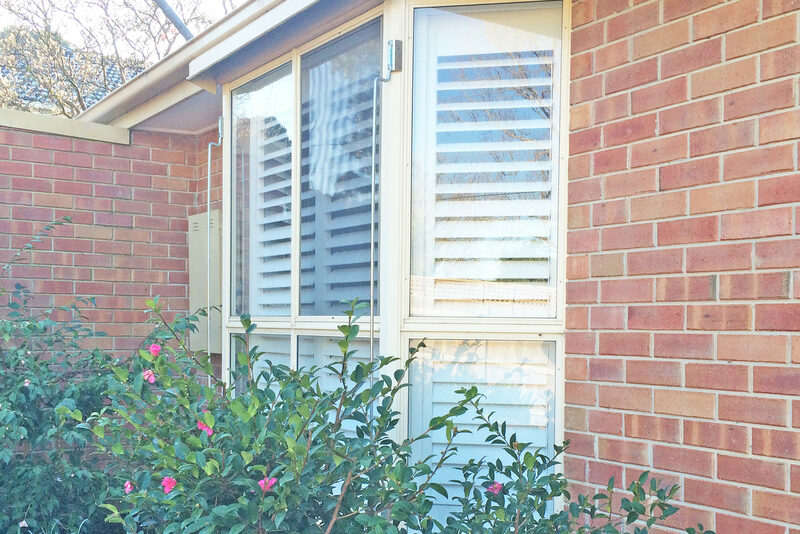 Provide perfect hear insulation during winter months and adjustable privacy all year round. 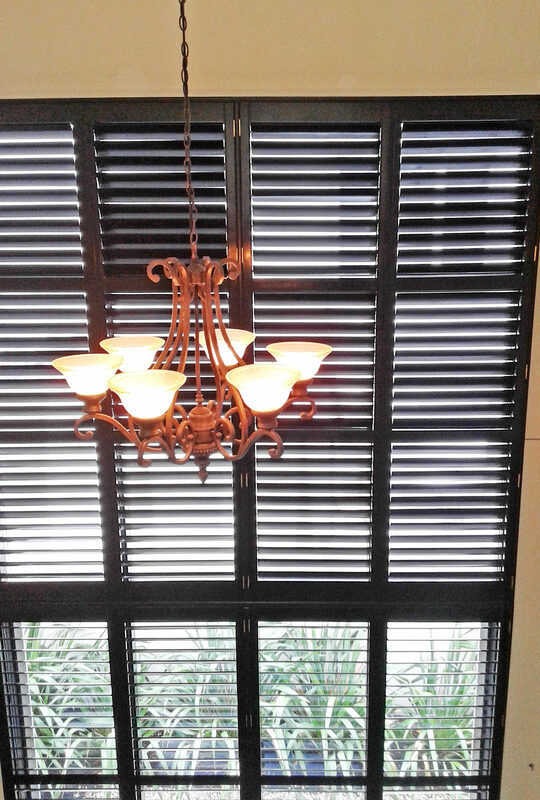 Can be used as window treatment or a room divider. 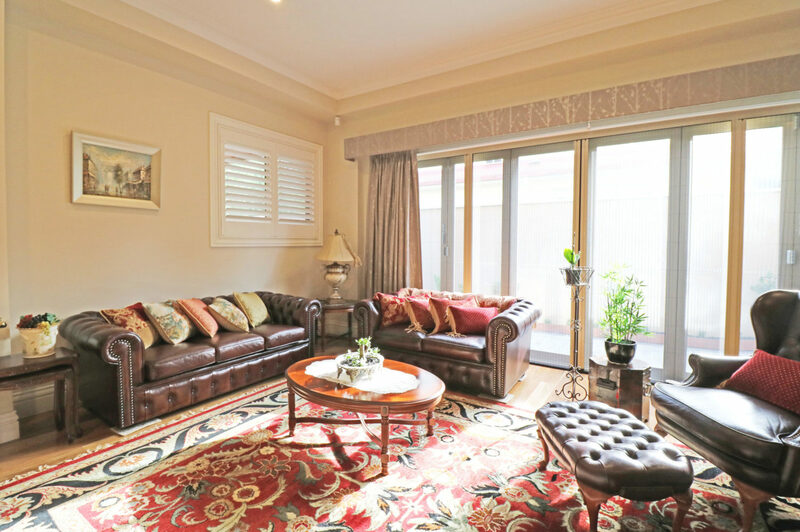 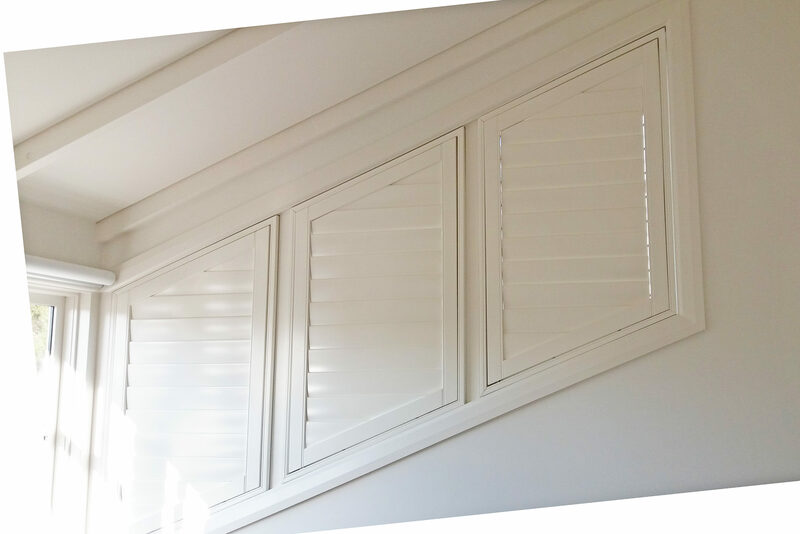 Khoi’s Blinds plantation shutters offer you a selection of best quality Basswood and Western Red Cedar with a variety of finishing and colours. 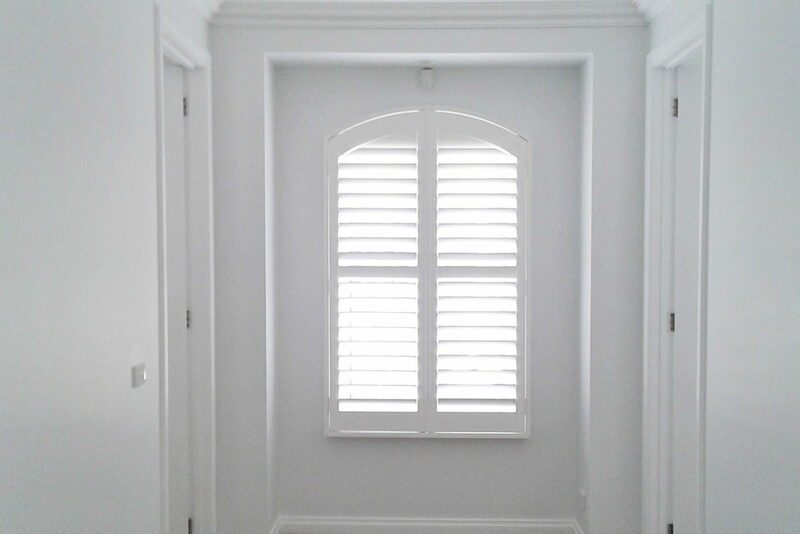 Plantation shutters slats available in 63mm or 89mm with varying finishes including lacquered, standard painted or special custom painted to suit every unique taste. 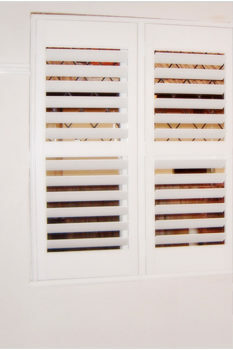 A choice of three different fixing options, hinged, bi-folding and sliding with optional frame to match any application and designs. 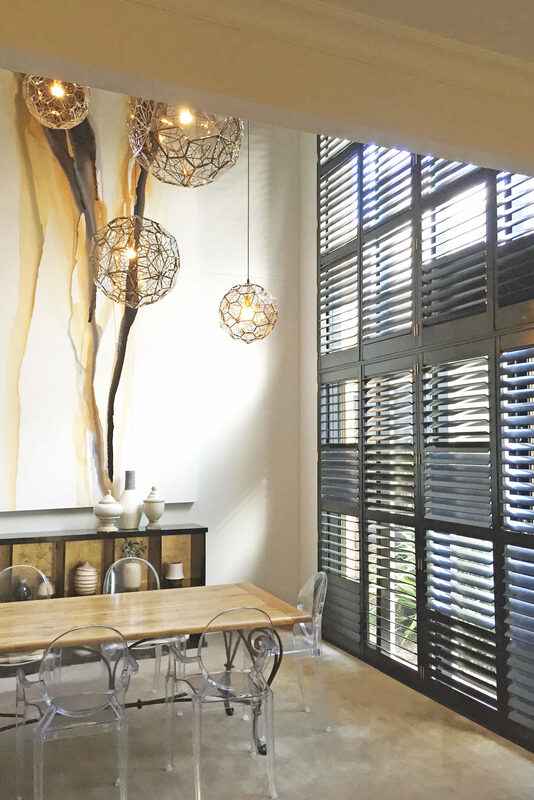 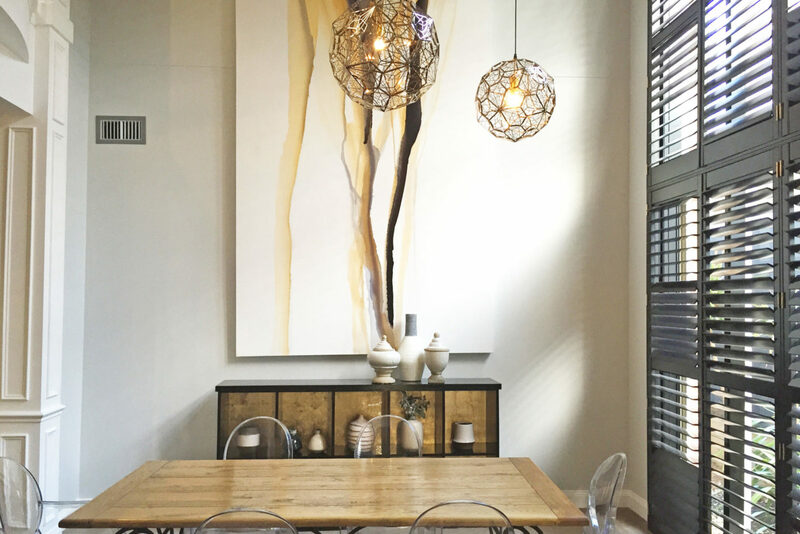 All Khoi’s Blinds plantation shutters are precisely handcrafted, custom made to your measurement and specific requests including angled, arched, sloping or circular windows. 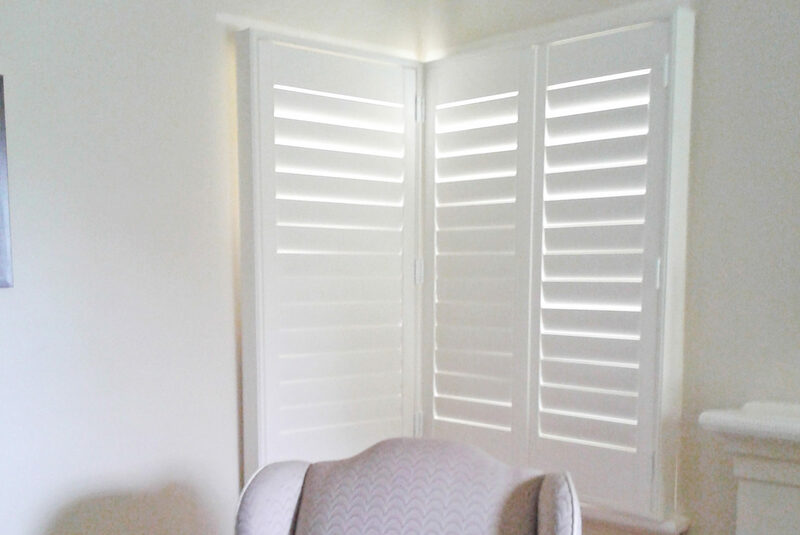 Optimal light control with the adjustable blades to compliment your mood. 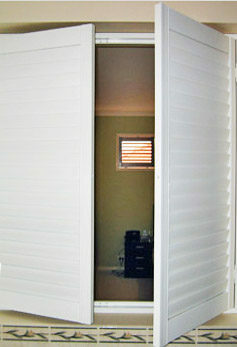 Incredibly simple to operate and easy to clean. 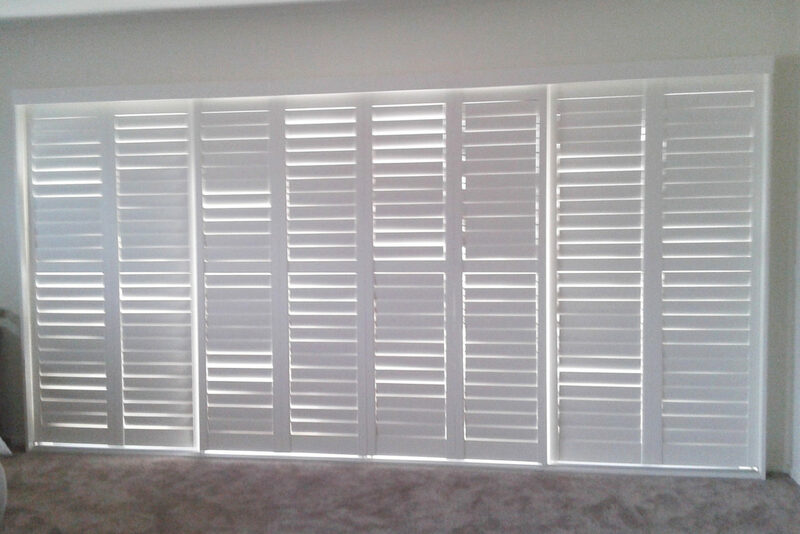 Hinged Basswood Shutters are one of the most popular choices for contemporary houses, which bring a modern and elegant touch to any décor. 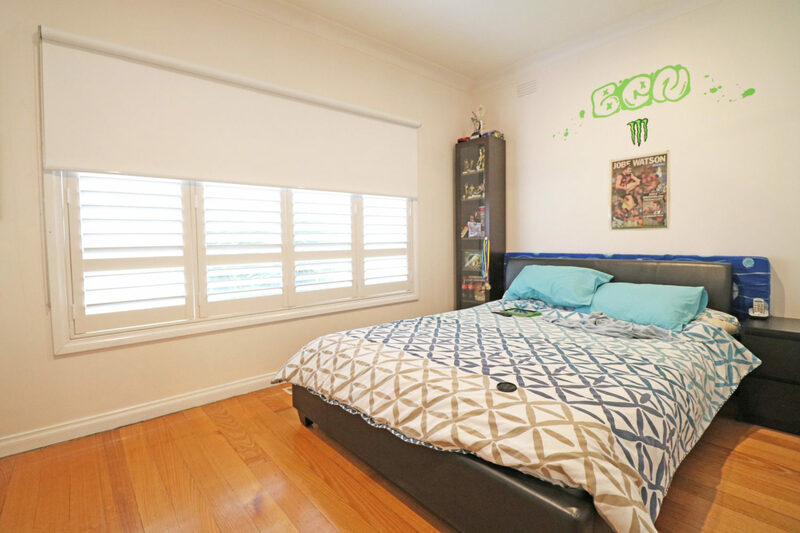 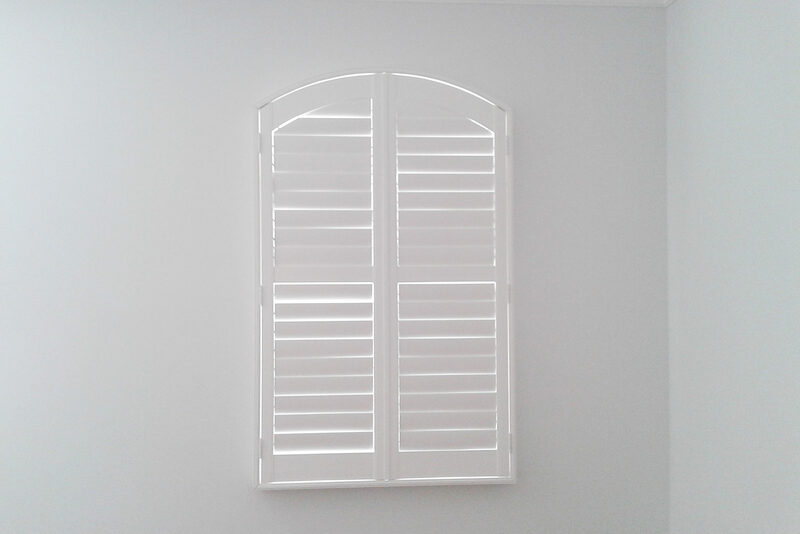 Available in painted finish with various choices of colours and optional special colours custom made as order, hinged shutters are guaranteed to satisfy every specific taste. 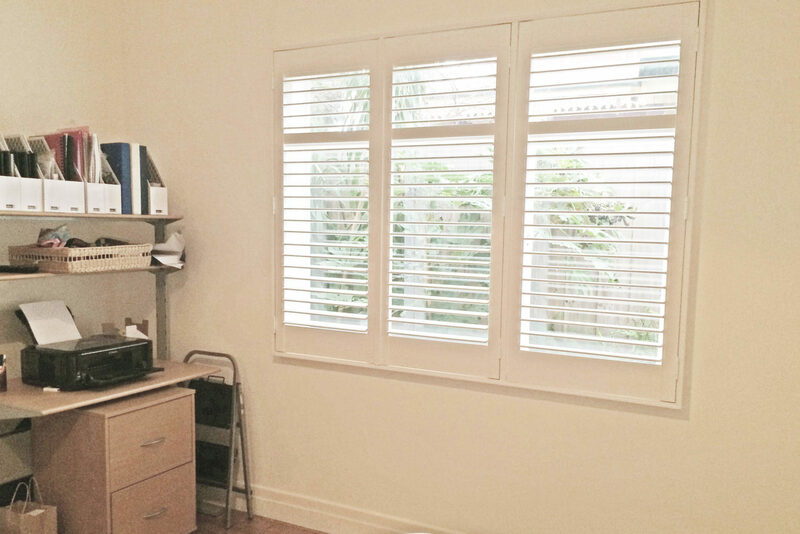 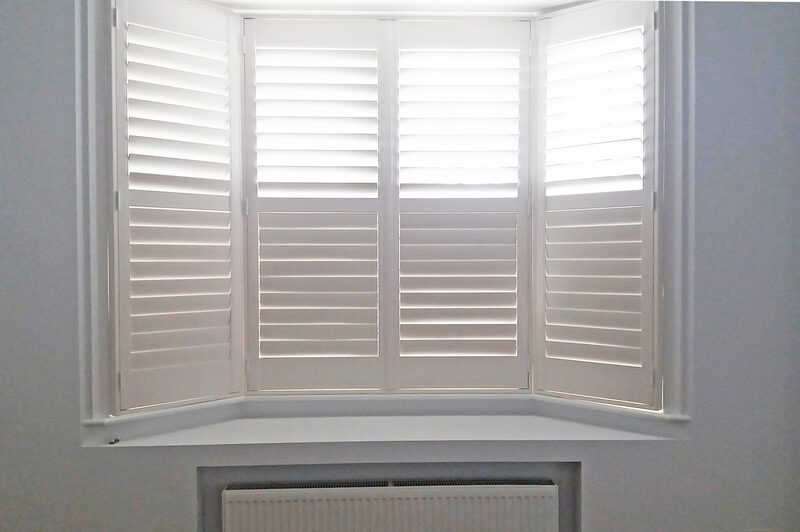 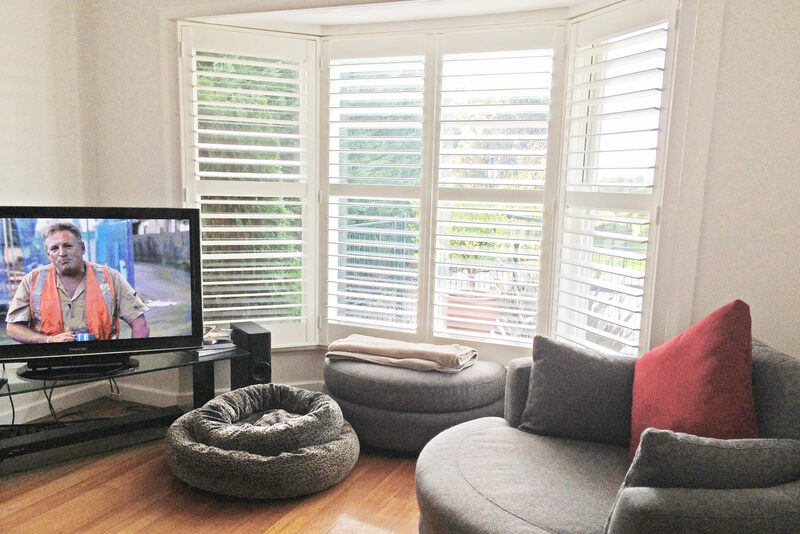 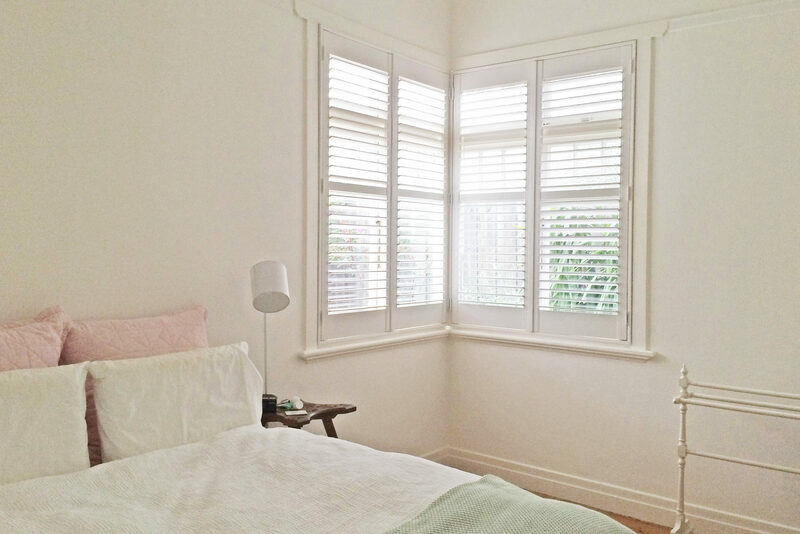 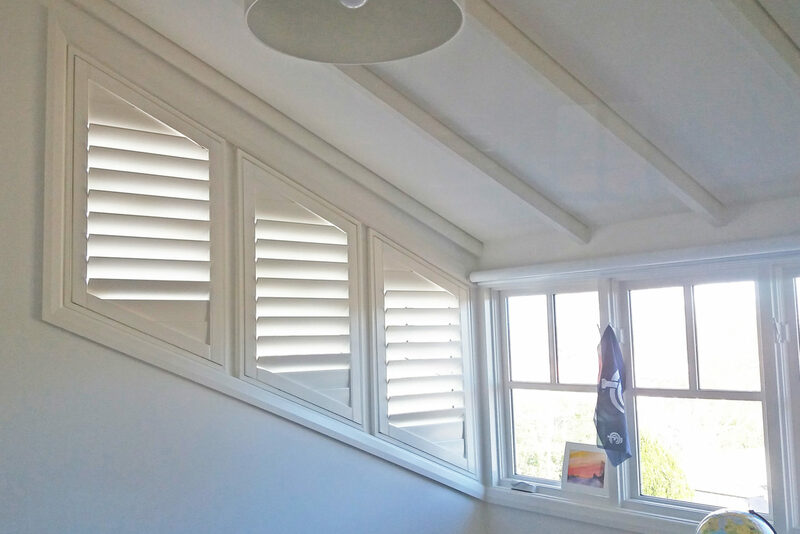 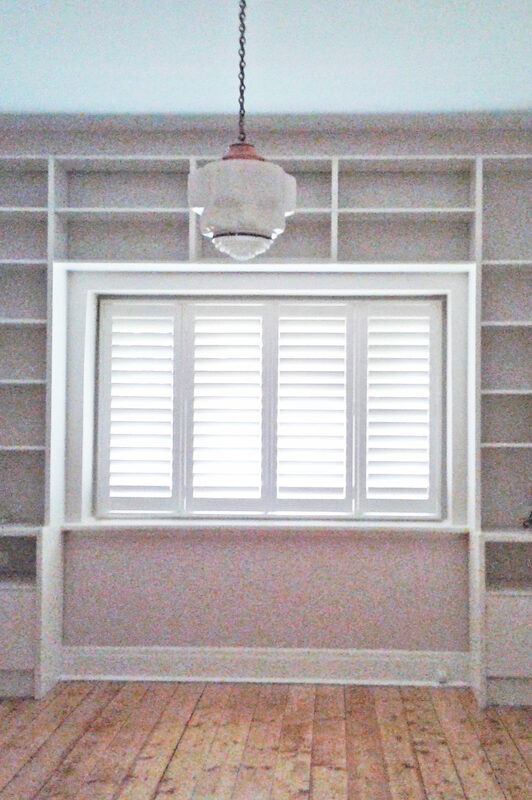 Our plantation shutters range also cover corner windows and bay windows with seamless transition in each corner. 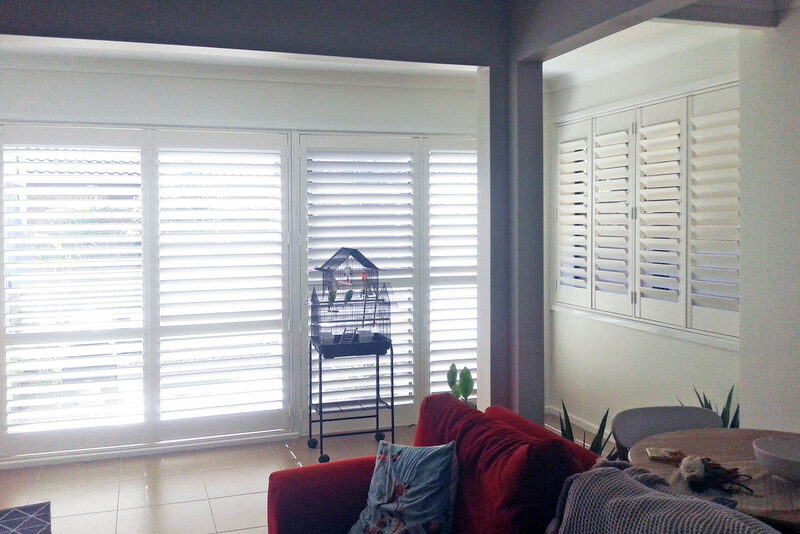 Bi Folding Plantation Shutters are a perfect solution for wide opening areas, a great substitute for large bi-fold doors, and made an excellent combination with screen doors to bring a softer and more elegant look to your house. 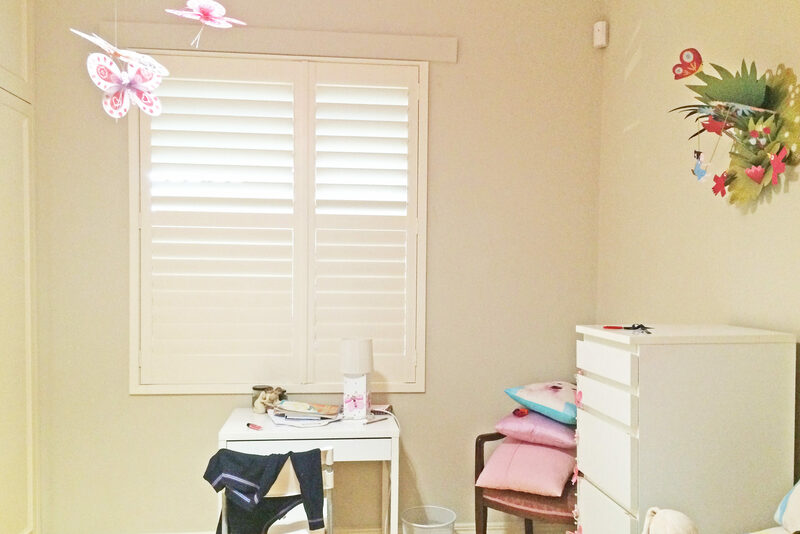 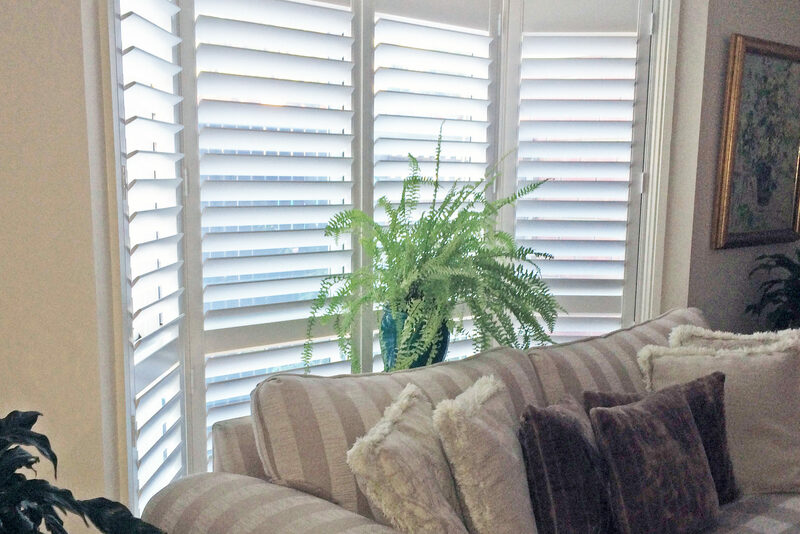 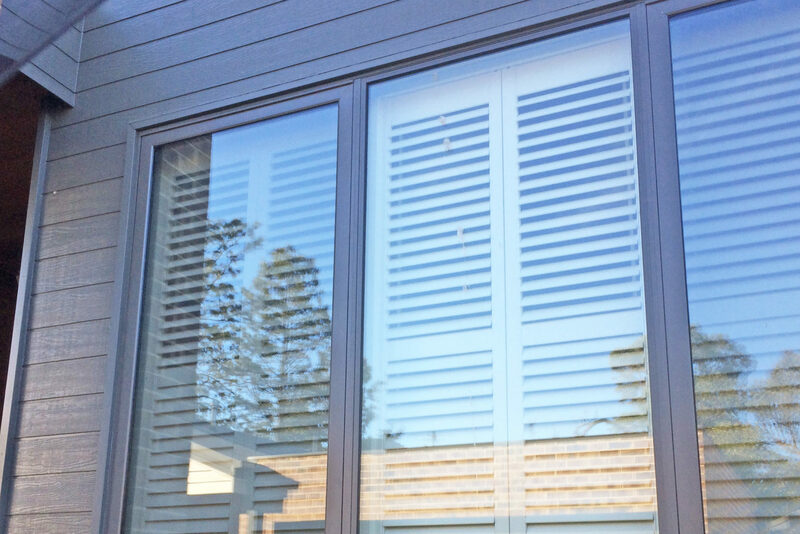 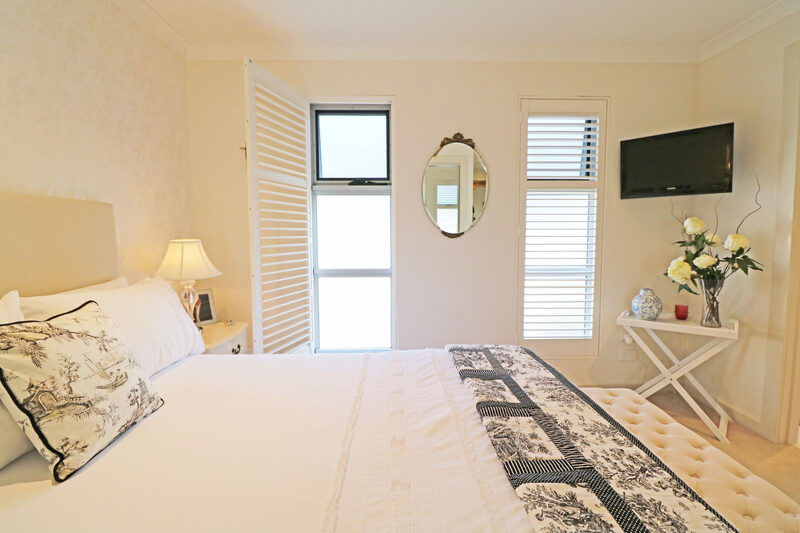 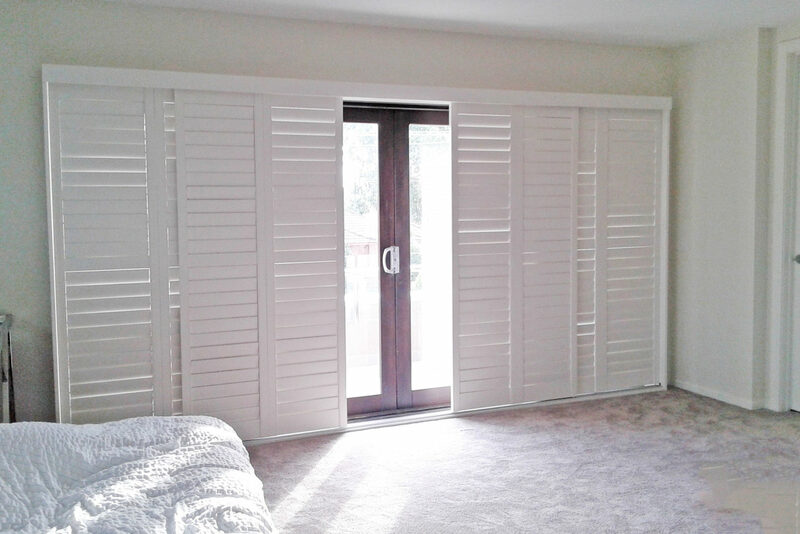 Sliding plantation shutters are a superb choice for interior designs to add a styling and sophisticated looks to your closet, cupboard, or sliding door areas. 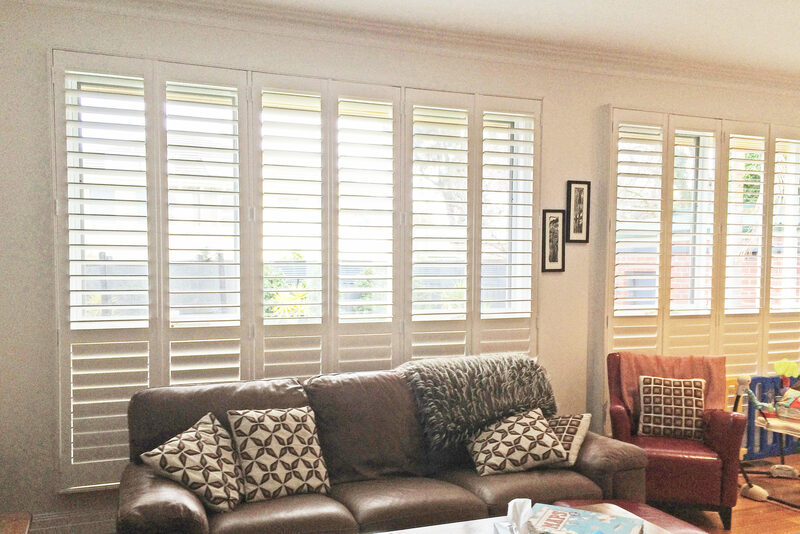 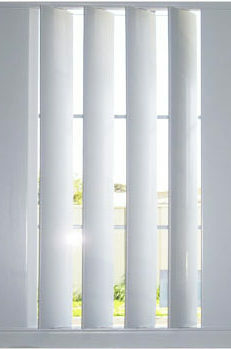 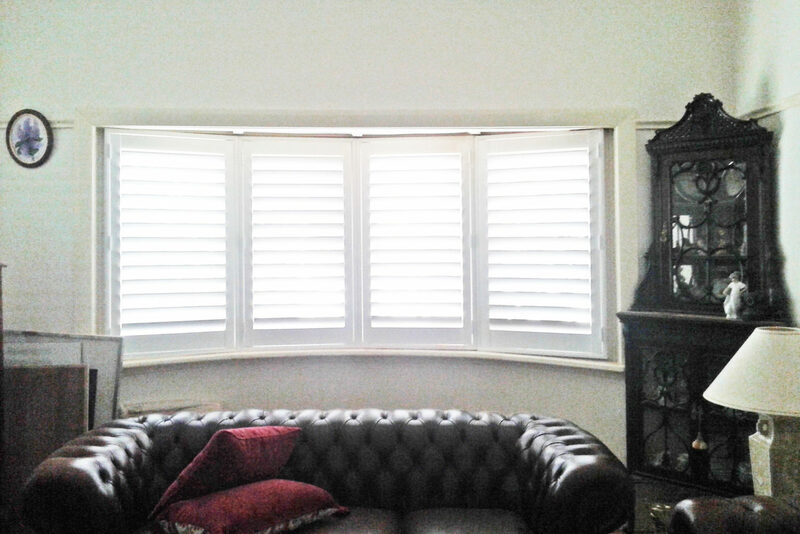 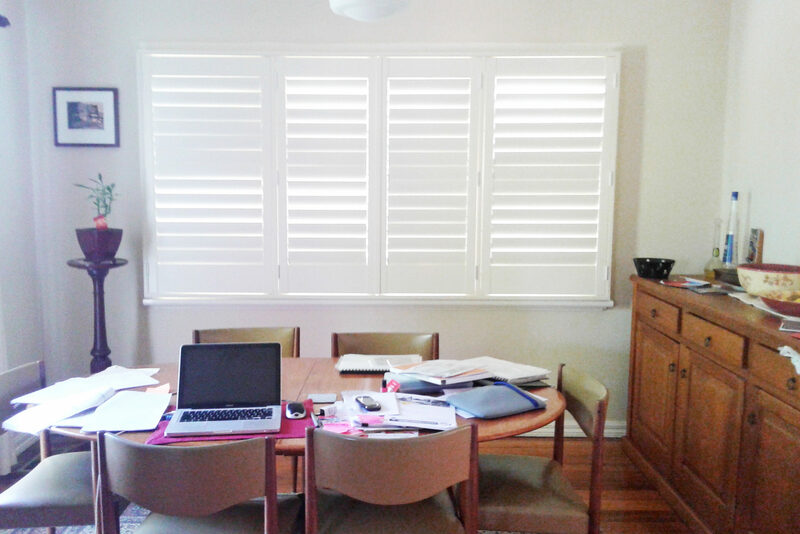 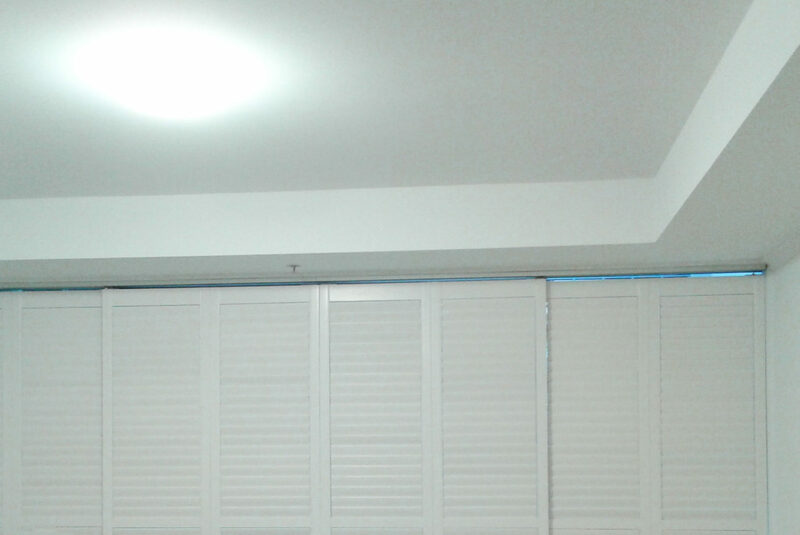 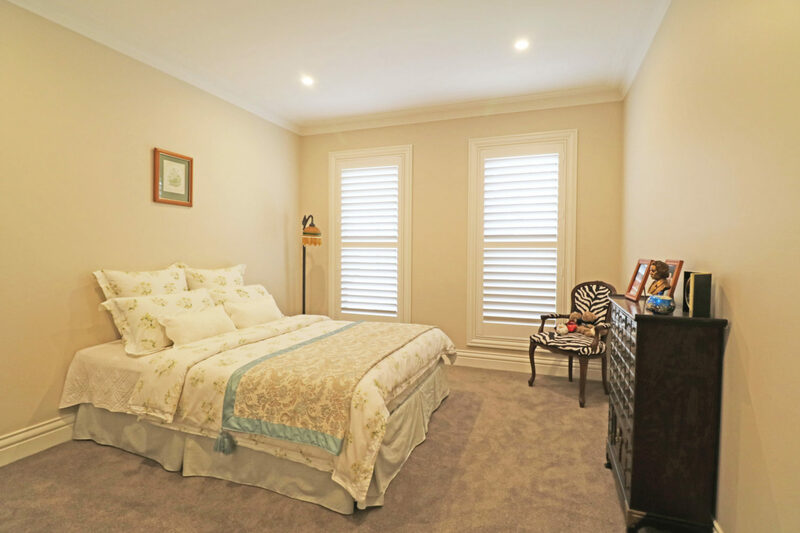 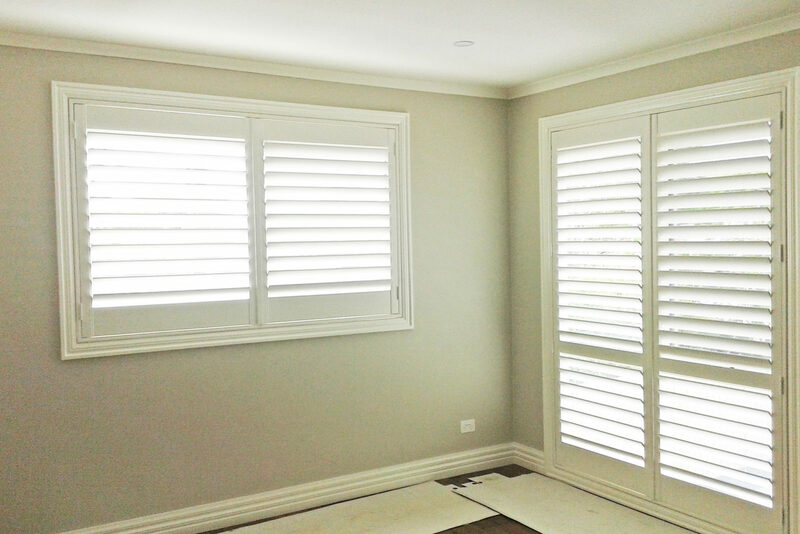 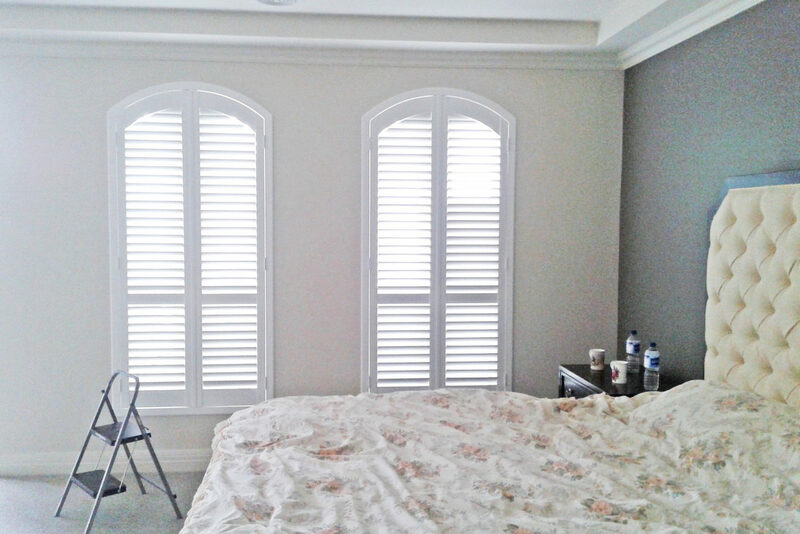 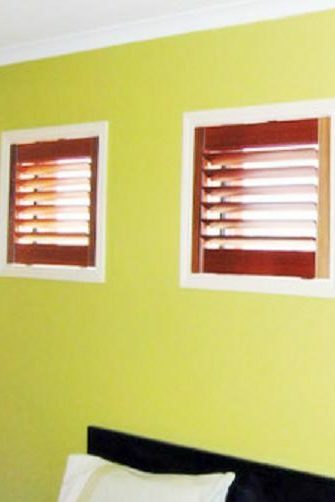 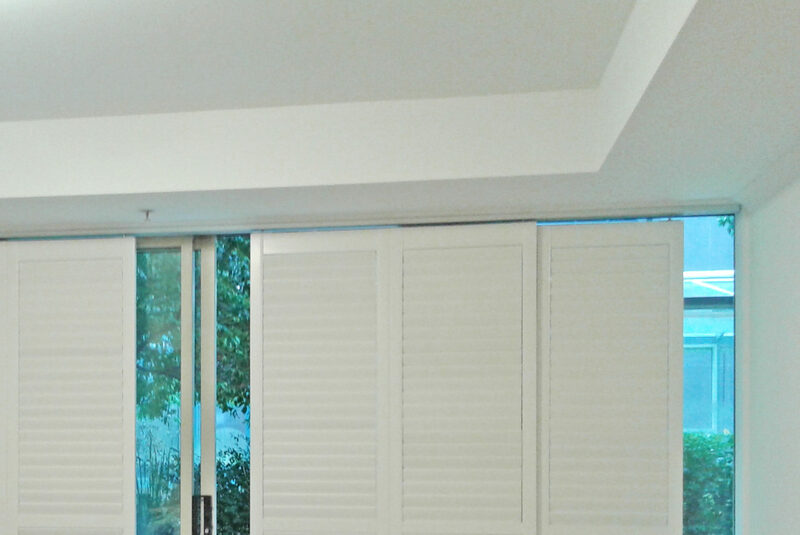 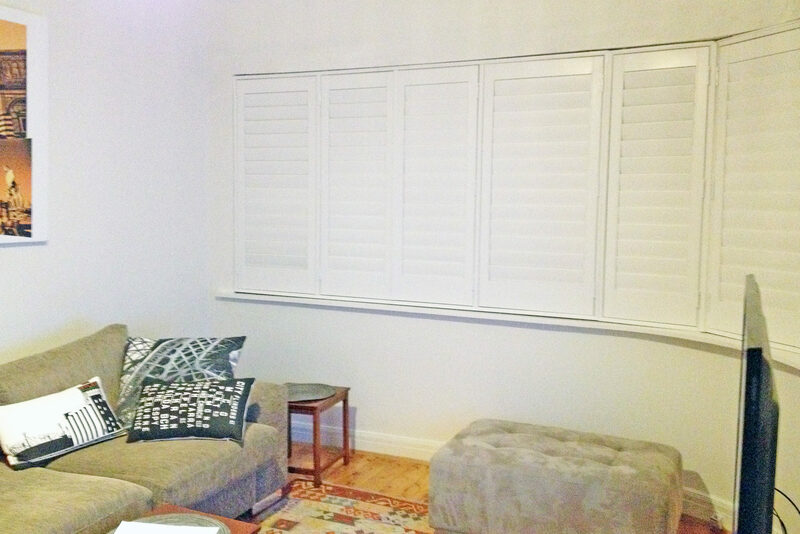 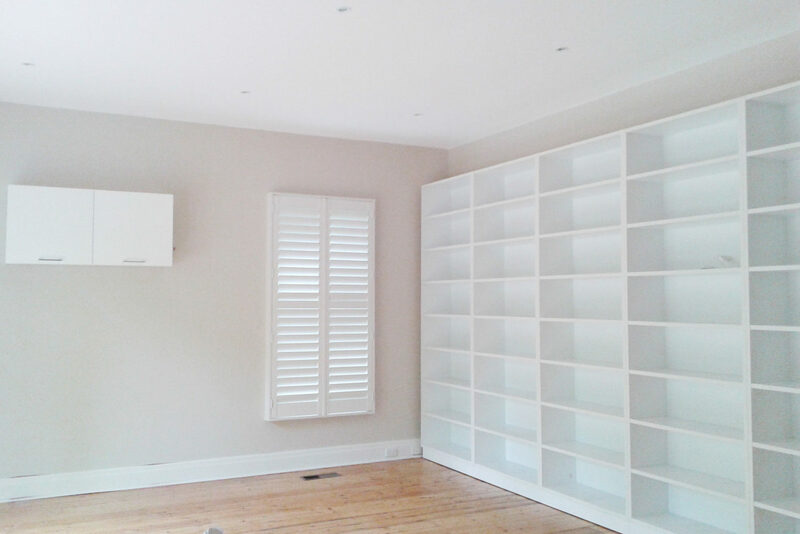 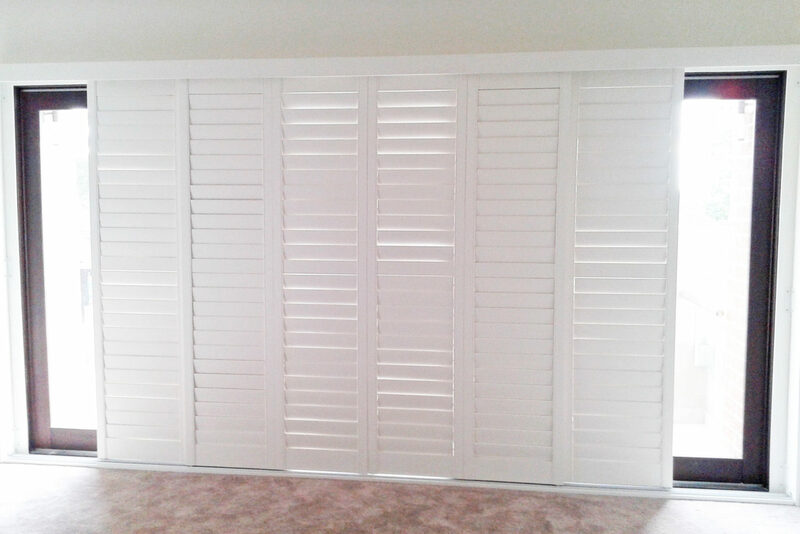 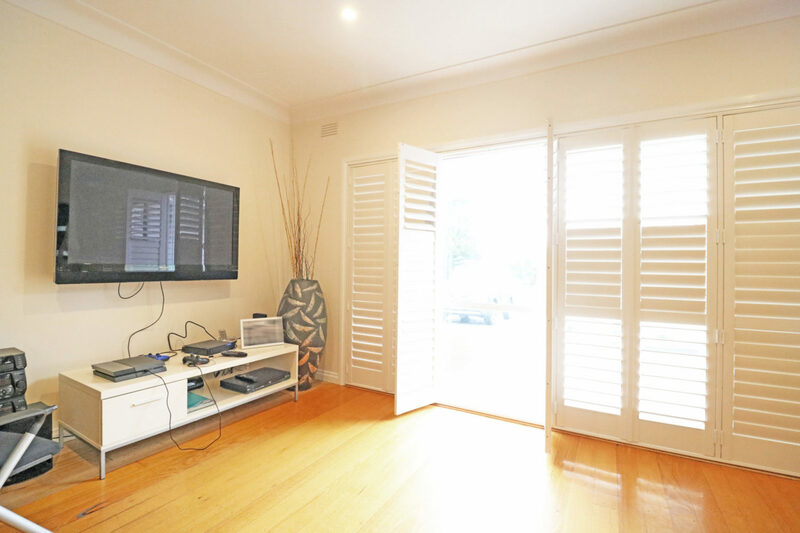 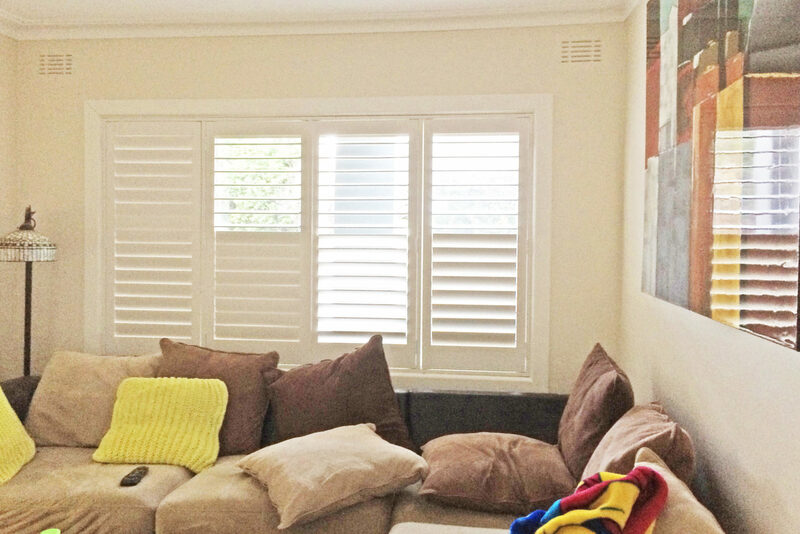 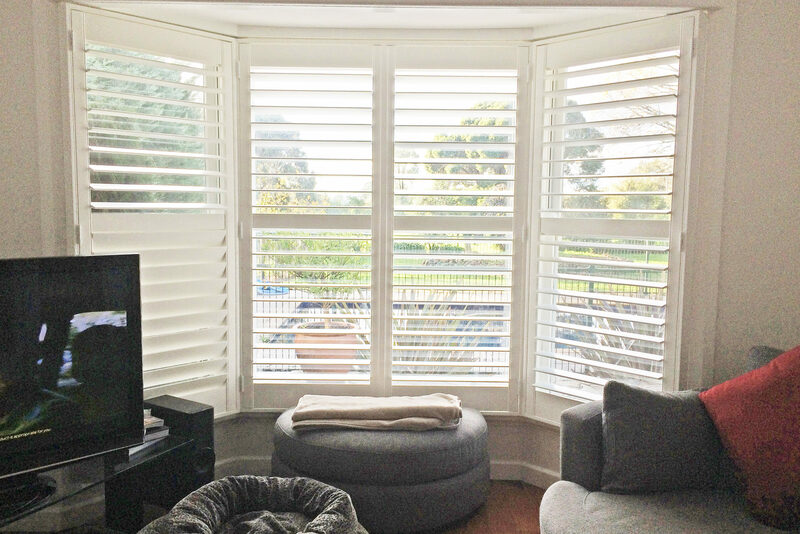 Sliding plantation shutters are also perfect as a room devider for your home. Our handcrafted angled and arch plantation shutters offer ideal solution for any window shapes including round and triangle window, ensure all windows is covered with stylish and unique look. 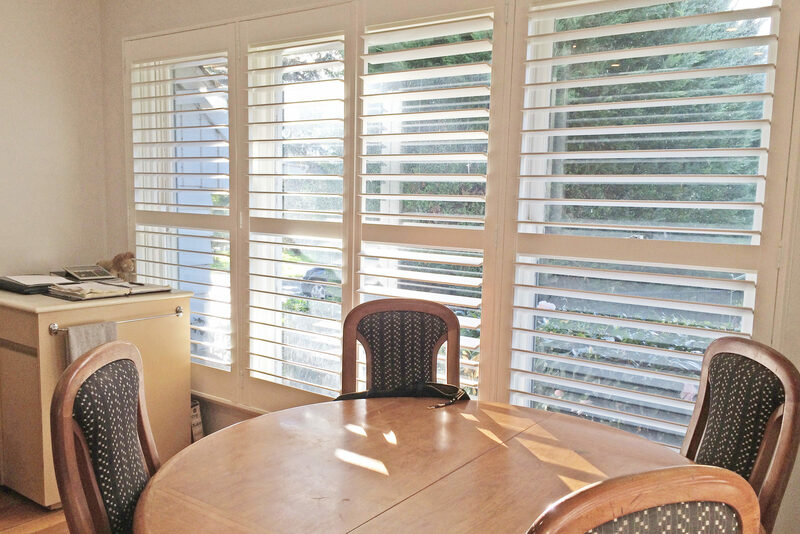 Western Red Cedar Shutters offer a charming and classic look to your heritage décor. 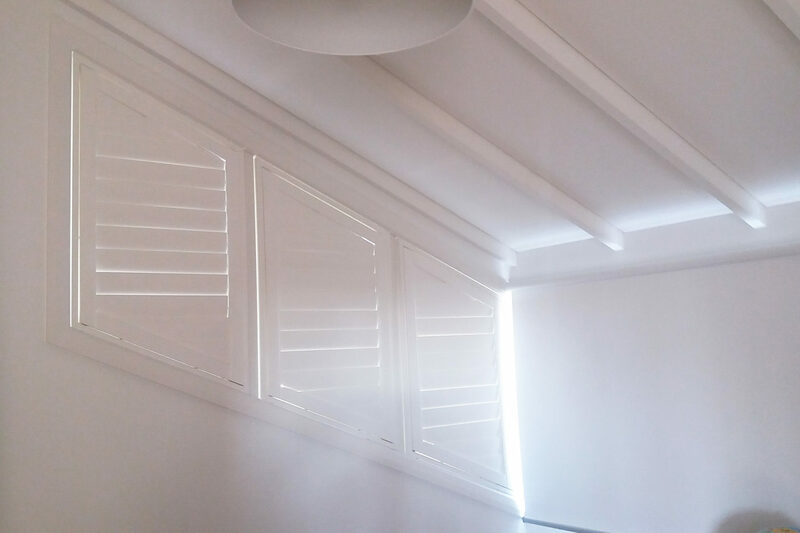 Cedar Shutters material available in two colours blends light-medium and medium-dark for you to choose from with variety of finishes including lacquered, or painted. 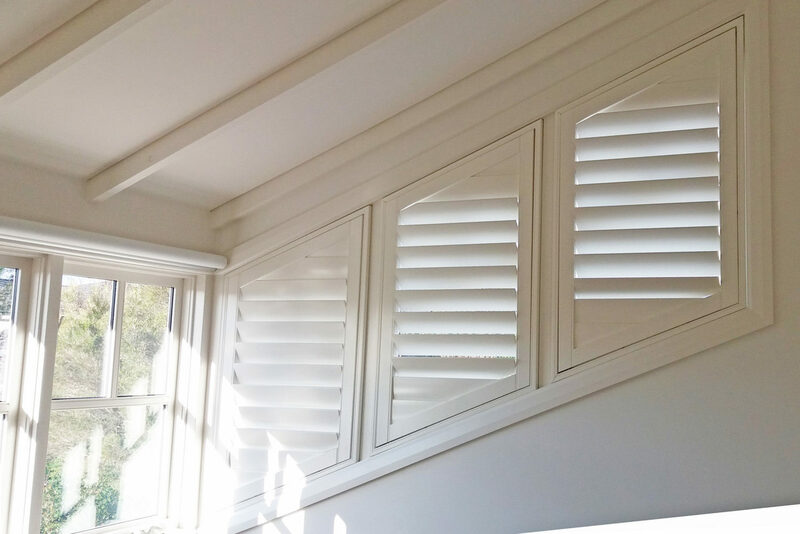 Western Red Cedar is the best choice for lightweight but durable shutters which provides excellent insulation for your house. 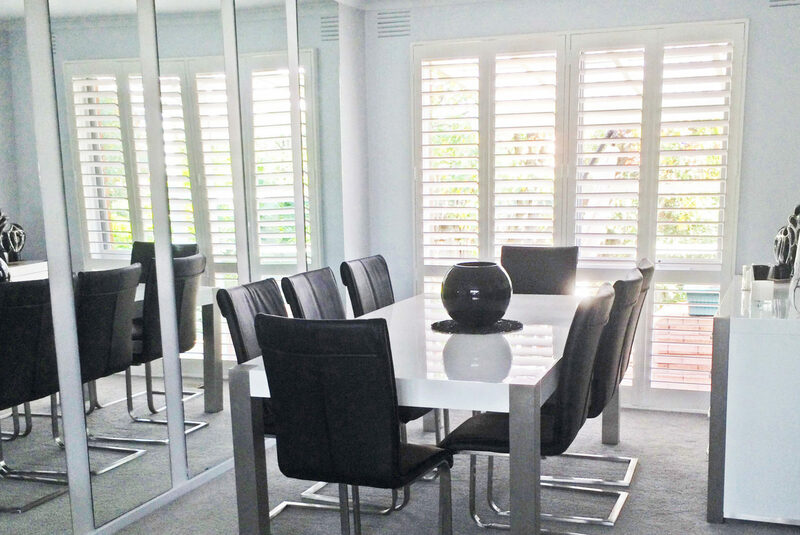 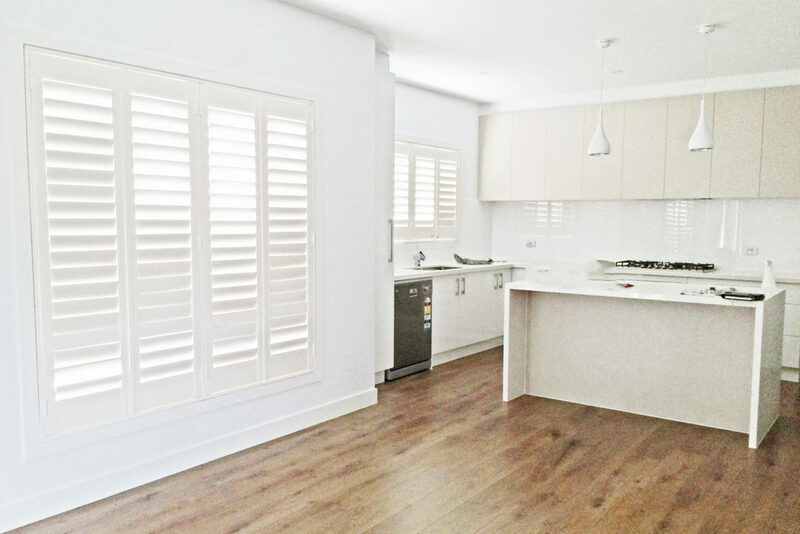 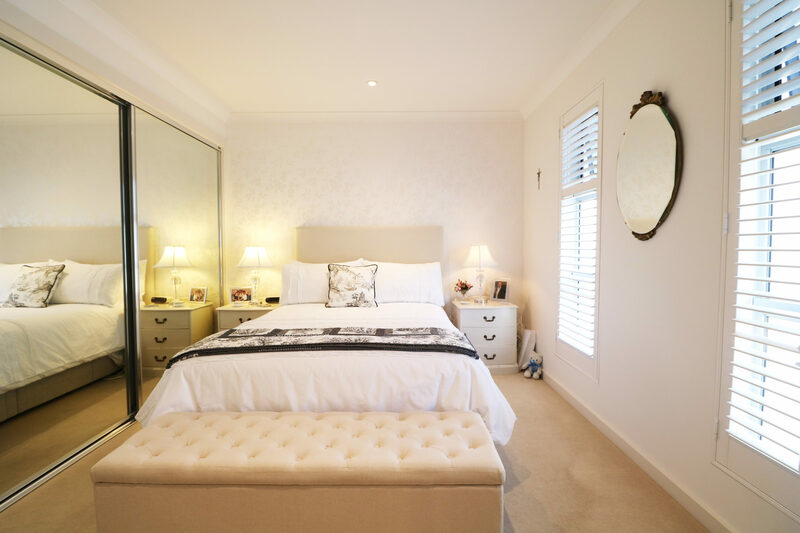 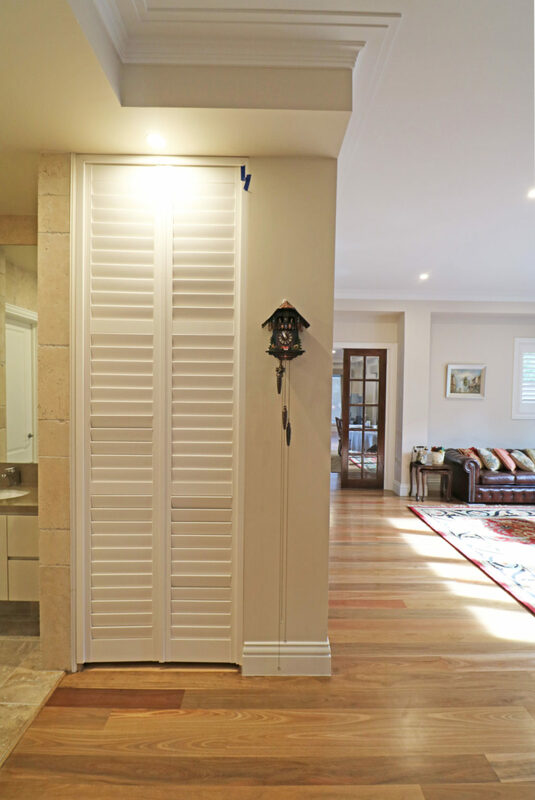 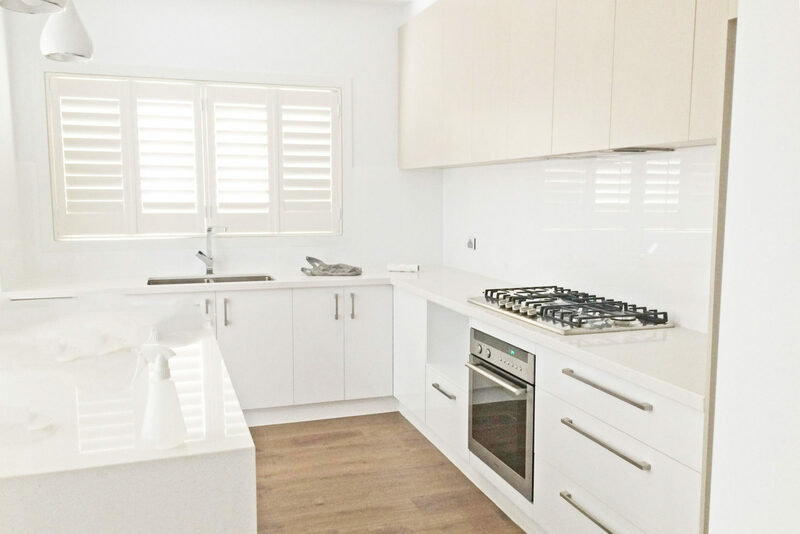 Our plantation shutters can also be an elegance solution for pantry doors, room divider and can be custom made to suit any locations and fitting conditions. 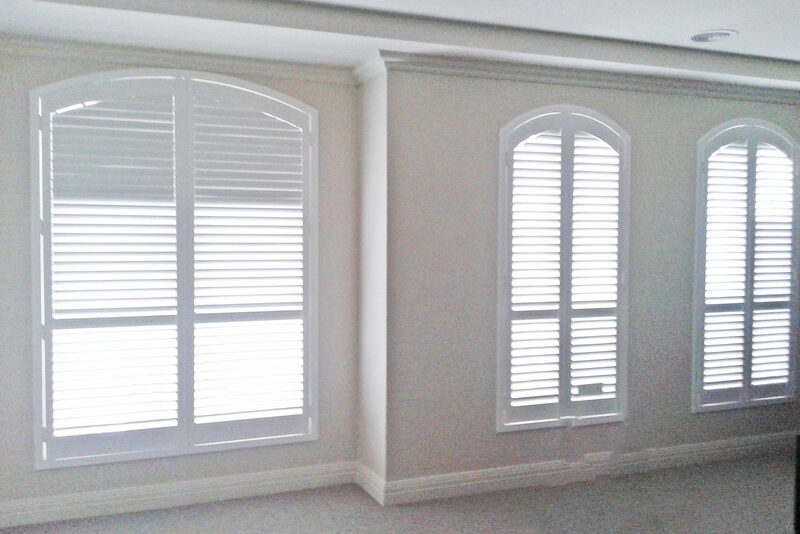 Custom colours available to suit any specific decoration.